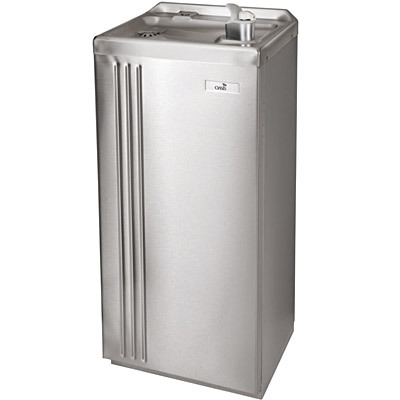 The Oasis PLF20FACP Water Cooler is corrosion resistant and has a stainless steel cabinet, frame, base parts and fasteners. Special protective coating is applied to compressor, condenser, cooling tank, pre-cooler, water drain and interconnecting water and refrigerant lines. Cabinet finish shall be Sandstone powder coated paint on galvanized steel or brushed stainless steel. Cooling system shall use R-134a refrigerant. Shall be listed by Underwriters Laboratories to U.S. and Canadian standards and conform to European Union Directives.